Allardyce wants defensive reinforcements | The Transfer Tavern | Where football transfer rumours fly or die! West Ham United have given us plenty to talk about this January transfer window here in the Football Transfer Tavern, and talkSPORT have revealed that Sam Allardyce is looking to do further business before the month is up. 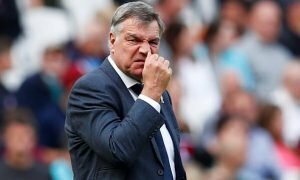 Allardyce was left disappointed by his sides defensive display during the 3-0 defeat to Sunderland yesterday, and has made strengthening his defence his top priority this month. This priority has been made bigger by the fact that James Collins was forced to leave the field with a hamstring injury. 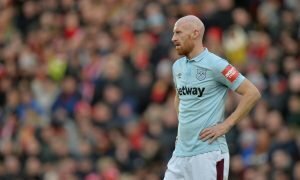 “He [Collins] has a hamstring injury and it’s a bitter blow to us, said Allardyce. “We might have to take a look at the market and see if there is someone who can help us on the defensive side. The Hammers manager revealed he has already been making moves to bring a defender to the club this month. “I have already been trying and trying for the last 10 days to secure a defender but have not managed to do so, he added. Allardyce also dismissed speculation linking Carlton Cole with a move away from Upton Park. “I haven’t told him he can leave so I don’t know who has told him that he can,” he said. The Upton Park outfit have already been busy this January bringing back Joe Cole for a second spell from Liverpool while also making a loan move for Arsenal’s misfiring striker Marouane Chamakh and a transfer for young Irish talent Sean Maguire from Waterford United. Hammers fans. What defender would you like to see arrive at Upton Park? Vote in our polls below.